Here is the third article in our Food Trends for 2019 series. In this series, we will discuss what we think of the hottest food trends from a Registered Dietitian’s perspective. Are these food trends here to stay or will they be gone next year like many one hit wonders? Today’s topic, is fat healthy? Yes! It is! And, boy are we excited! It’s hard to know what was crazier, that we left the house wearing acid wash overalls, with combat boots while sporting a rainbow of jelly bracelets up our arms, or that we actually thought low fat meant healthier. Seriously, what were we thinking? Good thing that fat is back folks, and how we’ve missed you! What prompted the low-fat diet trend? Perhaps it’s the simple fact that fat has more calories than carbohydrates and protein. One gram of carbohydrate or protein contains only four calories, while one gram of fat contains nine calories. An overabundance of calories makes us fat, right? Unfortunately, like many aspects of nutrition, it’s more complex than calories in versus calories out. It was in the 1970’s when researchers began to link saturated fat intake with heart disease. This spurred the low-fat diet trend which took hold during the 80’s and 90’s after nutrition organizations along with the US government urged the population to eat a low fat, high carbohydrate diet to reduce their risk of cardiovascular disease. It was also during this time that the food industry capitalized on this low-fat trend. From fat-free cookies (remember Snack Wells?) to fat-free salad dressings, these new to the market products were flying off the shelves. What we didn’t realize at the time was that the fat in these products was being replaced by more sugar, salt, and other unhealthy fillers. Often times, these fat-free products had the same number of calories as their full-fat counterparts and were loaded with manufactured ingredients that were not exactly healthy. What ended up happening is that while we reduced our total fat intake as a population, we increased our consumption of refined carbohydrates and added sugars. We also decreased our consumption of healthy fats found in nuts, avocado, and vegetable oils. The unintended consequence of the fat-free phenomenon was a population that was not only gaining weight but also increasing their risk of diabetes, and ironically heart disease as well. According to the Centers for Disease Control, we are literally tipping the scales with the prevalence of overweight and obesity affecting nearly 72% of all Americans. With fresh new research under our belts, we can now offer a paradigm shift in our perception of fat and kiss the low fat craze goodbye. A number of studies have shown that there is no benefit in following a low-fat diet, as it doesn’t aid in weight loss or lead to less disease. In actuality, dietary fat is an essential part of a healthy diet, can help with weight loss, and may reduce the risk of certain diseases. Vitamins A, D, E, K and a host of carotenoids (pigments in plants that act as antioxidants in the body) are considered fat-soluble vitamins and require the presence of dietary fat to ensure they are absorbed properly. Eliminating fat in your diet could place you at risk for several vitamin deficiencies. Healthy fats help to mobilize stored fat which is then used for energy. Because fat takes longer to digest compared to carbohydrates, it helps you to feel fuller for longer which supports appetite control. The right types of fat can decrease the risk of disease. The two main types of polyunsaturated fats include omega-3 fatty acids and omega-6 fatty acids. These fatty acids may help to prevent heart disease and stroke by reducing blood pressure, reducing LDL (bad) cholesterol and triglycerides, and raising HDL (good) cholesterol. 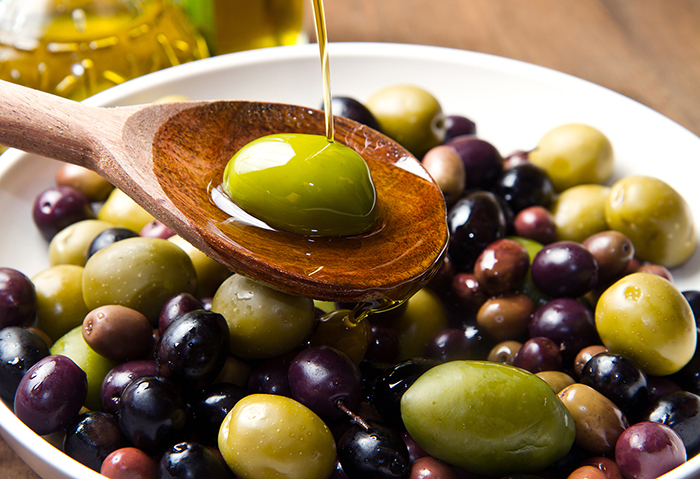 Not all fats are created equal. Focus on eating monounsaturated and polyunsaturated fats that come mainly from vegetables, nuts, seeds, and fish. Examples include olive oil, avocado, safflower oil, sunflower oil, nuts, flaxseeds, fatty fish like salmon and mackerel. 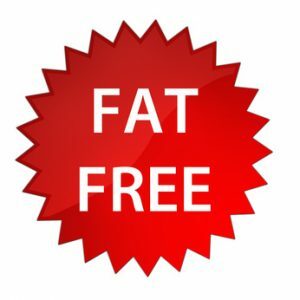 Try to avoid trans-fat found in cakes, cookies, pies, and fried foods, and eat saturated fat (red meat) in moderation. Gone are the days of Snack Wells cookies as we move towards a fat friendlier culture. While the dietary trend was once fat fearing, now food manufacturers have caught wind of the fat is back movement, and finding full fat products has never been easier. Rather than low-fat chips or fat-free chips (remember Olean? ), we are now seeing chips made with healthier fats like olive, coconut, or avocado oil, like these from Jackson’s Honest. The dairy aisle now has countless full-fat milk and yogurt products to choose from. Dannon and other major brands are all jumping on-board the full-fat trend. And one of my favorites, more restaurants are offering items made from the healthy high-fat avocado like avocado toast. In fact, the high-fat avocado has become somewhat of a celebrity in its own right as there are now all-avocado restaurants popping up in cities across the country. A favorite product (in case you simply can’t scoop your own avocado) is Good Foods Avocado mash, easily found at Costco, and really great for an on-the go avocado toast. So while you can go ahead and ditch your parachute pants and scrunchies, don’t ditch dietary fat! Fat is back, and unlike the questionable fashion trends of the 80’s and 90’s, is hopefully here for the long haul. Thanks for your publish. My spouse and i have always seen that most people are wanting to lose weight because they wish to show up slim and attractive. Nonetheless, they do not usually realize that there are additional benefits just for losing weight additionally. Doctors say that obese people experience a variety of illnesses that can be directly attributed to their own excess weight. Thankfully that people who are overweight in addition to suffering from numerous diseases can help to eliminate the severity of the illnesses by means of losing weight. You’ll be able to see a gradual but identifiable improvement with health if even a moderate amount of weight loss is accomplished. You just need to start writing! Also, its good to have a general idea about how to monetize the blog in the future! This article is not about “fat” as a food trend, but full fat foods as a food trend. And that IS a food trend. I am not confusing consumers.